Xi is harnessing China’s growing strength for a peaceful ascendance as a rising global power. Recently, one of America’s most influential scholars, Joseph Nye, authored a book on the significance of U.S. presidential leadership in shaping American politics and the global order. Examining presidencies such as those of Roosevelt, Kennedy, Nixon, Reagan and Clinton, Nye concluded that presidential leadership could be seen as either transformational or transactional. A transactional leader is a caretaker, a good manager who does not take ambitious initiatives. A transformational leader is a doer, she doesn’t simply follow trends and react to environment stimuli; she aims to shape the strategic environment. Neither type of leadership is a priori good or bad. It is the historical context within which a president governs that should be used to assess the effectiveness of presidential leadership in global politics. This theory could also be applied to model the leadership of the Chinese President Xi Jinping. His political and diplomatic fingerprint leaves no room for ambiguity: Xi is not a manager. He is a political and diplomatic entrepreneur; a transformational leader reshaping China’s domestic and global identity. Domestically the Chinese president has engaged in an unprecedented anti-corruption campaign and has looked to stimulate a countrywide dialogue on culture with the “Chinese Dream.” This kind of political terminology has been unheard of in China since the time of Deng Xiaoping. Corruption was a cliché to be left outside of the public debate. Discussion about values and principles were the sole monopoly of the Communist Party of China’s (CPC) politburo. In his foreign policy, Xi has been no less bold. In one year he has visited all the world’s continents except Antarctica, he has promoted the “new Silk Road,” solidified two trade agreements with the advanced economies of Switzerland and Iceland, and has also engaged in counterbalancing against U.S. led economic initiatives such as the Transatlantic Trade and Investment Partnership (TTIP) and the Trans-Pacific Partnership (TPP) by strongly promoting a China-EU investment treaty and a comprehensive trade pact with China’s neighbors. 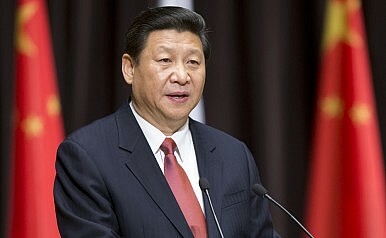 Apart from his economic diplomacy, Xi surprised diplomats and scholars when at last year’s Sino-U.S. Strategic and Economic Dialogue in California, he proclaimed the need for the world to create a “new model of major-country relations.” Later, in an interview with leading intellectuals from Europe and the U.S., Xi cited an Athenian classical historian, Thucydides, and proclaimed that the relationship between a rising power – China, and a status quo power – the U.S., will be the most crucial relationship for peace in our time. With his call for a new model of great power relations, Xi is looking to avoid historical precedent, in which hegemonic transition was accompanied by conflict. The U.S. diplomatic community was taken by surprise, something unprecedented in a post-Soviet world when the U.S. shaped international political and diplomatic debate. As a Chinese think tank analyst put it, for Xi the relationship with the U.S. is crucial, but his model covers more countries and thus looks to promote a multipolar world and not a G-2. Xi has not only engaged with traditional statecraft but has also looked to reinsert culture into China’s foreign policy. While the U.S. has withheld its UNESCO financial commitments and undermined its position in the organization, the Chinese president has reaffirmed the importance of culture in international affairs and with his recent visit in UNESCO’s headquarters has asked for a sincere dialogue of civilizations. Xi has also moved on reorganizing the chaotic organizational structure of China’s foreign policy institutions, creating a National Security Commission and State Security Committee that will provide direct advice to the President on China’s security concerns around the globe. While Xi’s identity as a “transformational” leader and foreign policy innovator is evident, the question that arises is whether the proactive and transformational role of the Chinese president promotes or harms China’s global standing. Put another way, is Xi’s leadership style the right one for China’s current global status and material capabilities? Does it provide strategic competence or does it lead to overreaching? During the first year of Xi’s presidency, China became the largest energy consumer in the world, the largest trader and its citizens became the largest group of international tourists. During Xi’s second term the country will become the largest economy in the world, surpassing the U.S. The material capabilities of China will be second to none and the country’s need for energy resources, foreign markets and high return outbound investments will rise substantially. In this environment China cannot follow a merely transactional, risk-averse diplomacy. The country needs to be more proactive and move from crisis aversion to crisis management; from the outdated model of “aoguangyanghui”; that is of keeping a low profile, to “fenfayouwei,” which demands diplomatic entrepreneurship and strategic planning. In that sense, Xi’s leadership matches China’s capabilities and aims to shape the global strategic environment of the country’s ascendency to global superpower status. While former Presidents Jiang Zemin and Hu Jintao were managers of transition from a poor to middle income economy, Xi is a diplomatic entrepreneur with the personality traits and the intellectual capacity to leave a lasting influence on China’s global image. However, his job will be equally if not more demanding compared to his predecessors. According to Barry Buzan, Professor of International Relations at the London School of Economics, “China was pushed from being an empire to being a state, and from constituting the core to being part of the periphery.” As the Middle Kingdom is returning to the core, Xi’s role will not be easy – any kind of such an abrupt and wide power shuffle in the world can easily lead to rising securitization and conflict. Of all his foreign policy initiatives, Xi’s “new great power model” and his direct citation of Thucydides are an auspicious omen that China has a leader with the contextual intelligence to be transformational, but not hubristic. Vasilis Trigkas is a research assistant in Sino-EU affairs at the Chairman of Tsinghua University’s Social Sciences department. He is a Non-Resident WSD Handa fellow for the Pacific Forum CSIS and a global shaper for the World Economic Forum. Vasilis is a graduate of Tsinghua University in International Relations & Chinese Politics. How Do Asia-Pacific Countries See Each Other? When it comes to leadership, Asian states are less optimistic.